Somehow or other I've never actually read Alan Bennet, I've listened to him on Radio 4 and the like plenty of times, but never opened one of his books (which is probably why I get him mixed up with Arnold Bennett) but this book turned up as a reading group choice so I had to take the plunge. I had of course heard no end of excellent things about 'The Uncommon Reader' and even picked it up a few times but had one big reservation about it.- I don't on the whole like books that take a real person/personality and put them in a fictional setting, I feel the same way when authors borrow other writers characters too, regardless of the quality of the writing. 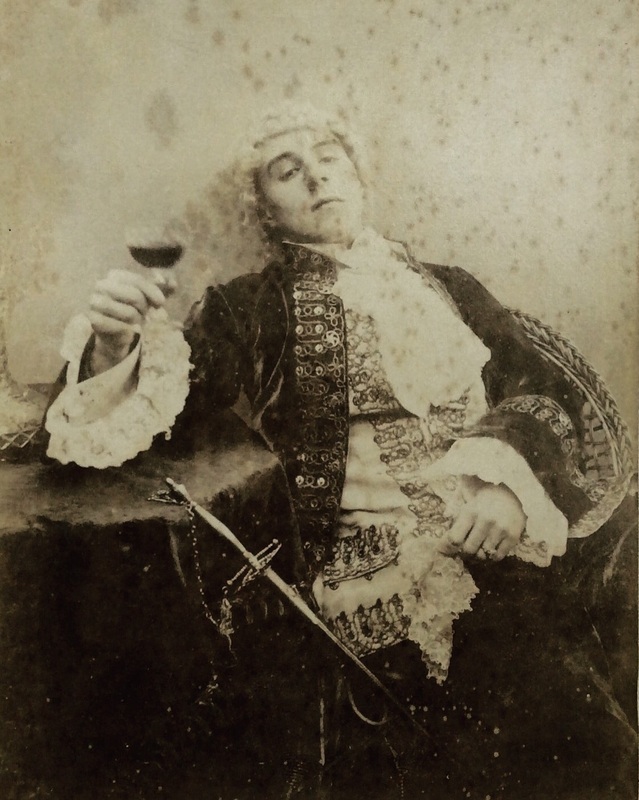 Using the Queen as a character is just one of the challenges that Bennett throws in. As it goes this is an excellent book; as the Observer quote on the front has it - it's 'a masterpiece of comic brevity'. For most of the time it reads in a way that would have me describe it as pleasant, nice, cosy... 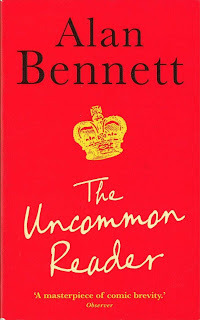 But Bennett lulls his reader only to spring traps on them, he doesn't do it often - he doesn't need to, but the occasional, and still mild, obscenity shakes you out of a certain complacency that the rest of the book encourages. This is also a book that wants to be reread a few times, for such a slim volume there's a lot packed in. 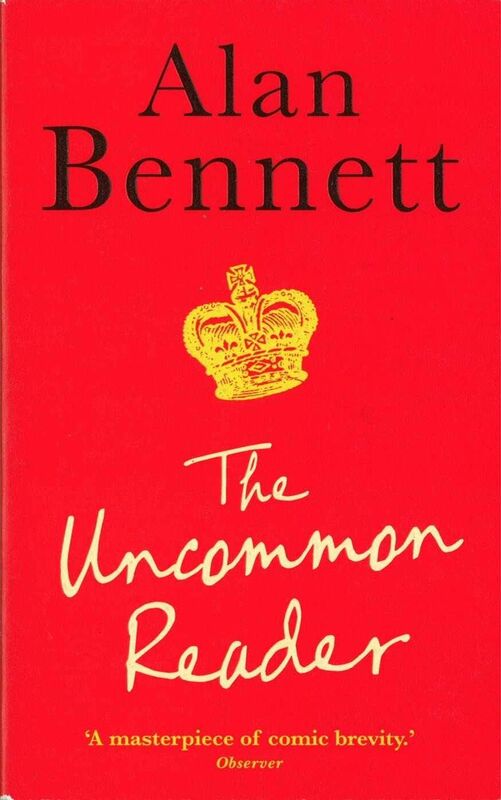 It worked best for me as a meditation on reading - why we do it and what it does to us, something Bennett has plenty to say about some of it a little ambivalent which is interesting in itself. Reading opens up a whole world to the Queen but it also destroys all her pleasure in her old routine and is detrimental to the execution of her duty. All around her hate and fear the effect books are having, the time they take and the attention they demand. It's interesting to consider reading as a challenging, even an aggressive, activity - I'm not entirely convinced that it would upset people so very much. It's definitely a provocative book, is also one that is far better than I expected - and I didn't go into it with low expectations, but... My initial reservations still stand. Using real characters makes me uncomfortable, I understand that it wouldn't work nearly so well if it wasn't the Queen, and not just from the comic perspective, but it strikes me as unfair on some level to take a woman who's life is so public and invent a private life for her (no matter how flattering the portrayal is). On the other hand I feel that the very few hours that it took to read this book were some of the best spent of my reading year so far and I will now have to get a copy of my own. 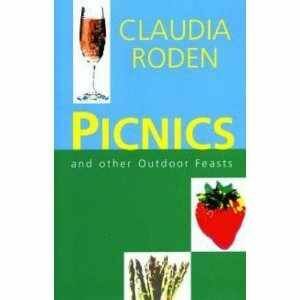 I was really pleased when out and about today to see a new reissue of Claudia Roden's 'Picnics and Other Outdoor Feasts' (interesting too to see that it's cheaper now than it was when I bought my copy 11 years ago - which when you take into consideration inflation is something to celebrate). The charms of camping had escaped me by the time I reached my teens (my life is simply better with proper plumbing and beds in it, also there are many things that live in fields that I don't want to spend the night with) but I still love a picnic (my next sister down doesn't hold with picnics either, possibly regarding them as the thin end of a wedge that will see her stranded in a tent before she can fight back, suggestions that she might like it are denied in the strongest imaginable terms). The ones we went on as children were nothing like as exotic as Claudia Roden's memories of outdoor meals in the Seychelles or Egypt. Cold chicken, cheese and pickle sandwiches (heinz mild mustard pickle), wagon wheels, and orange segments were what we had (and very good it was too). The food scene in Britain has changed somewhat since those days - a few minutes in any supermarket will furnish a picnic basket that would have utterly defied my young imagination (though would anything in it taste better than the picnic foods I remember?) and that perhaps is the beauty of this book. It's broken down into 4 sections; eating in the garden, food to take out, cooking in the open, and suggestions for the traveller. There is everything in here from suggestion for al fresco wedding breakfasts to instructions for making and using a haybox with plenty in-between - this is the source for my preferred ratatouille recipe. It's been a while since I last pulled this book of the shelf. I remembered it as a source of inspiration but had forgotten just how much was in here - it's probably best described as a sort of gallimaufry of information - recipes, memoires, cultural history, and quotations (Jane Austen on strawberry picking, Trollope and Surtees on picnics and many, many more). When I first read this I would have been mildly suspicious of sushi and sashimi, but again it's now almost ubiquitous as well as being an ideal picnic food. I may still not be that keen on making my own, but the account of Japanese picnics to celebrate the full moon and cherry blossom sound delightful and perhaps do-able if I can find a suitable venue and round up some people (and of course there is the weather to consider) who would like to eat under an August harvest moon whilst reading poetry (youngest sister would probably comply but sadly she's miles and miles away). 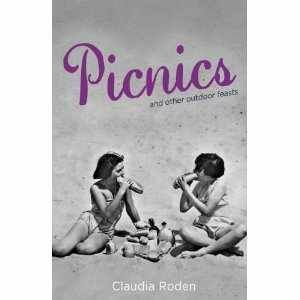 There are a few picnic books about but none of them have made me feel they having anything more to offer than this one for eating outdoors or in, or even just reading for inspiration. It is wonderful to see it back in print. Inbetween watching the opening ceremony for the Olympics and reading about it on twitter I thought I'd share some more holiday photos - mostly because my dad complains that I don't put enough Shetland pictures on here - so this one's for my dad and the rest of you will have to bear with us. Earlier this week the results from a government survey were released which suggested people living in Shetland, Orkney and the Western Isles were the happiest and most content in Britain. (Leicester scored low, which is fair enough, it's a city that's been badly hit by this recession - it would be surprising if anxiety wasn't an issue here). 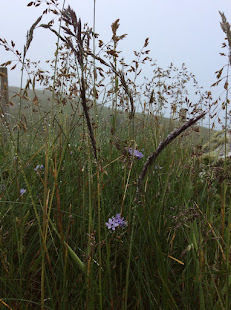 Shetland has a lot going for it - the people, the food, the people, the scenery, the people, the sense of space, the people... So a big part of the reason I keep going back is to catch up with some really lovely people, but there's something about a big view, a huge sky, really fresh air (which I wish I could share with you) and the ever changing light that I can't resist either. These two pictures made the view down either side of Sand beach - taken at the same time. 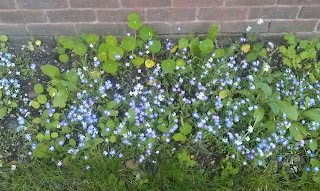 One nice thing to return to, especially after so much rain, is the Scottish ones garden. I'm nominally in charge of it but I don't really spend a lot of time there to do anything very exciting - or which involves much actual input. 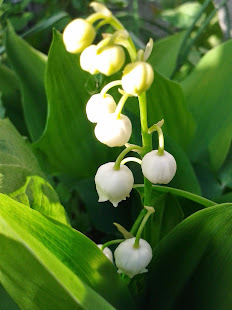 I was there for 4 hours on Monday afternoon but managed to fall asleep for almost two of them, even so a mountain of weeds and dead headed bits was produced. There are a mass of things I'd like to grow, Sweat peas being top of the list and there is the perfect spot for them, but with all our coming and going this year we would have missed them so instead I took my inspiration from a Sarah Raven programme I saw in the spring. 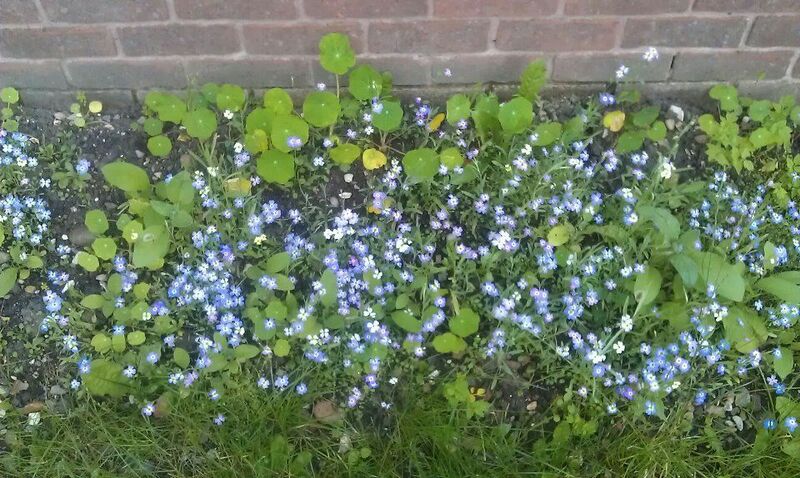 She was talking about modern flower meadows - the idea is basically to throw a lot of seeds at the ground and end up with a bee friendly swathe of flowers, which if properly organised should also last for weeks. I thought I'd try it. I'm really pleased with what's been a very cheap experiment - even if I had bought all the seed again I'd probably still have had change from a tenner, coincidentally things haven't all come out at once so there should be plenty to look at for months yet, and best of all it's very low maintenance. I'll do it again next year, possibly on a larger and more thoughtful scale. The other happy news is that a rose I thought had snuffed it after an unfortunate encounter with a mini digger and an over enthusiastic architect has come back to glorious life. The Cake will continue to be referred as The Cake in honour of it's epic nature. It was baked by my sister (something of a cake diva) and is the Rococoa cake from Nigella Lawson's 'Feast'. The recipe albeit including a picture covers four pages and can be found here, although as ever with Nigella (and this is why I like her) the instructions are easy to follow. The process can be made a little simpler by buying chocolate loaf cakes rather than baking your own sponge. Sister baked everything from scratch. This is a cake she's wanted to make for a couple of years but it needs 24 hours chilling time, feeds a small army, has a full shopping list of ingredients, and so, in short, calls for quite an occasion. I flatter myself that I provided just the excuse she's been looking for (although it's possible that the other people coming round for dinner also had something to do with it). To eat The Cake is basically a super chocolaty sort of tiramisu and very much recommended for anyine who has the time and patience to put it together. Well I'm back from my travels, pleased to be reunited with my books, perhaps a little less pleased with the prospect of returning to work first thing on Monday morning. It hasn't been a very bookish holiday, there was so much to do, and so many people to see that I didn't get much time for reading - although the small quantity was more than made up for by quality. Stealthy Puffins creeping up on us, and Puffins ready for their close up. They really are delightful birds, smaller than I remember, comical to watch (though what the last one thought of me and my commando style crawl across a cliff top to get it's picture perhaps wouldn't bear much inspection) and understandably popular. Love Puffins. We also had the chance to do a hopefully good deed after finding an Oyster-catcher caught up on wool, it was to weak to make much of an attempt at running away so I decided to catch it and ask at the nearest house if we could borrow some scissors to try and cut it free. It was lucky for the bird that the lady we found was a retired vet, she had stitch cutters and managed to cut away all the crap so that it seemed likely the bird would not only survive but keep it's foot as well. 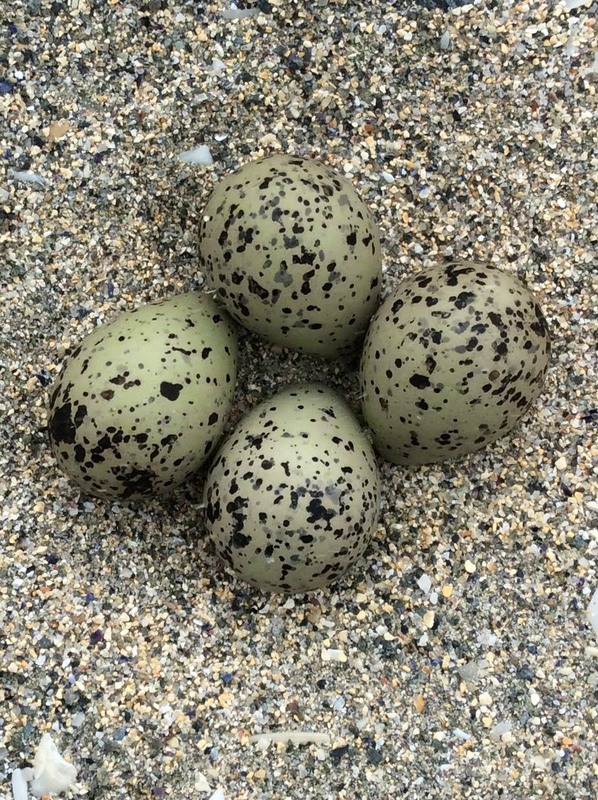 I hope so anyway, the Oyster-catchers (dialect name Shalder) call is deeply evocative and although there's no particular shortage of them I do feel the more the generally merrier. As I'm off to enjoy myself with my family for a couple of weeks I thought I'd leave you with some pictures of my bookshelves (please excuse the dust). This is partly because I love pictures of other peoples shelves (complete with making squinty faces as I try and work out what books I can see on them) and partly because I'll miss my books - specifically when I realise that what I really want to read is 'x', or the thing I might like to cook is 'y' but I can't quite remember what goes into it. 'Y' will be a cake. These are almost all my cookbooks, but not by a long way all my whisky. Or gin. The Virago books had to be moved into my bedroom when they took up to much space elsewhere, I still need more shelves but if I'm to sleep lying down (which seems the best way) it's not going to happen. Perhaps a bed built on bookshelves would be the answer? The sitting room shelves - hard to take pictures of due to a wall being in the way, books are now pretty much floor to ceiling and increasingly double shelved. I wish ikea still sold these bookcases, they were really cheap, fit masses of books, and are totally inoffensive (they were also unbelievably easy to assemble compared to the bloody billy bookcase in my bedroom - for details of that particular trauma see here ). Right, that's it, weather permitting I won't be online much over the next two weeks after which I'll be back, hopefully refreshed, cheerful, and with books to talk about. Although I've managed to collect most of the Virago editions of Christina Stead's work this is the first time I've actually opened one of her books - one of the agreeable side effects of listing all those Virago's has been feeling the excitement of discovery all over again. I have some really great looking books - and in a glass half full mood that means a lot to look forward to. Stead is one of those writers who clearly has a mighty reputation somewhere, Virago published her, Faber Finds found her, Capuchin Classics have dabbled with her titles, and so have plenty of others, but I still have a sense that she's just under the radar (that may be just me though). 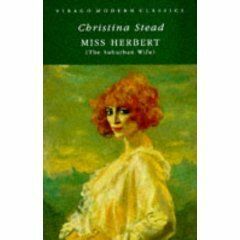 'Miss Herbert (The Suburban Wife)' managed to fool me, being new to Stead I didn't really know what to expect (okay, so I picked it up because of the cover which is beautiful but possibly a little misleading) and this one written late in her career may not have been the best place to start. The heroine of the piece Eleanor Brent (later Mrs Charles and then Miss Herbert) is a difficult character to come to grips with. 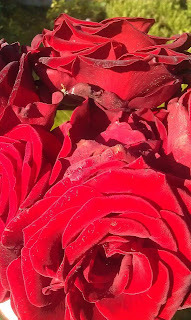 She's a beauty, the genuine article - glowing with good health, vitality, and sexual curiosity, we meet her in her twenties not so long out of university, still given to intense talks with her girlfriends, and as conventionally chaste as any middle class girl in the twenties could be expected to be. This doesn't last, she heads off alone on a cruise which marks the beginning of a career in promiscuity that falls just short of professional - her occasional worries about plain cloths policemen make it clear just how close to the wind she sails. Stead is coy about details and so is Eleanor who happily lies and prevaricates her way through the next five years. She is a master of self justification (and with it a deeply irritating character) intent on having her rights when it comes to youth and pleasure - but not love. It's an immensely readable book, which confused me at first because I hated Eleanor to begin with but just when she irritated me most Stead throws in a hint that all is not as it seems. Lies about the state of an engagement, those allusions to possible policemen, and scenes where Eleanor is not explaining herself - all are illuminating. As Eleanor ages however she becomes easier to empathise with. By 30 she's getting a little desperate to marry and her literary career hasn't really taken off. She meets a man - Henry Charles almost by chance and decides he'll do. They marry without love (though Eleanor will later insist it was a love match) but she's happy with her bargain; loves running her home and making ends meet. Unfortunately her husband is a snob, would be social climber, and fascist sympathiser with a talent for duplicity that more than rivals Eleanor's generally good natured avoidance of the truth. She is slowly manoeuvred out of her marriage, her home, and her self confidence, until finally she's left with two children and the task of making them a home in post war London without any reliable support. What follows is a bloody struggle which would be far more heroic if Eleanor wasn't, in so many ways, such a terrible mother. Still she battles on, playing by the rules which refuse to play by her and living with the double tragedy of being trapped in poverty (however hard she works and this, I think, is particularly relevant to the economic turbulence we're currently enjoying) and never really experiencing real love. It's a complex book that will take some mulling over (it has something in common with Persephone's 'To Bed With Grand Music'), I'm certainly more interested in Christina Stead now, and wish my edition had come with an introduction - it's a book that wants some explaining, if for nothing else than the chance to disagree with another's opinion. As of 5 O'clock this evening I have been officially on holiday, weather permitting I will be heading for Shetland on Sunday though between floods at this end and fog up there I'm not entirely confidant about my travel arrangements. Assuming nothing goes wrong my biggest headache now is in trying to work out what bags to pack and deciphering the hand baggage rules (after stringent research it transpires that the hand baggage allowance for the second leg of my journey as only two thirds that of the first part - I need a tape measure as a matter of urgency). On a positive note the clouds started to clear as I walked out of work today and the sky is mostly blue at the moment (makes a nice change), I'm hoping it's a good sign for things to come, I really, really, want to be away at the moment (can't help but notice that weather never stops me coming home - just from getting away). Meanwhile, and to take my mind off weather paranoia, it's time to choose which books to take with me; the big book strategy has worked well for the last couple of trips so I think two nice fat books will see me through, most likely a Trollope and maybe Robert Macfarlane's 'The Old Ways' though neither of these choices is set in stone yet. I've been putting some of my books on Library Thing, so far only my Virago collection (and because I'm easily distracted still only 200 of those), next the runs of things - like Trollope where I forget which ones I have but haven't read, and maybe eventually all my books, though I'm not quite sure how I feel about that. Books have been a part of my life for as long as I can remember. I loved reading as a child when no book that came into my possession remained unread for more than a day or two. I loved it as a teenager when I couldn't absorb enough new ideas and everything fed into a sense of possibility, and I continue to love reading as an adult when it's perhaps mostly about comfort and reassurance. I can't remember when I first distinguished between books and reading, but if I just loved reading I would use the library far more. I love books too, it's why my flat is stuffed with something over 2000 of them, and why when I sat down and thought about it I upped my contents insurance - if the building burns I can't haul this lot out with me whatever they mean on a personal level. They mean a lot; the books on the shelf, read or not, are both manifesto and self portrait. They're certainly an accurate reflection of the things that interest me and the way I want to be perceived. It's also likely that they give away more about me than I might be truly comfortable with just anyone seeing. Why else do some books lead a quiet existence on bottom shelves behind chairs whilst others are front and centre if it isn't an attempt to edit other peoples impressions? It certainly isn't all about my convenience, and that's what's behind a niggling reluctance to have the whole lot catalogued in a semi public way. That and I'm lazy enough to find it an off-puttingly big job. I don't have pets, though if my lifestyle allowed I would love a dog, and think I lavish some of that spare affection on my books which do after all offer something in the way of companionship and reliability as well as an actual physical presence about the place. At this stage in my life reading is mostly about escape from the day to day crap, I find total immersion in a written world for an hour or two renders me fit to deal with the actual world - which now I think about it is another reason contemporary fiction doesn't often appeal. Comfort reading isn't all about comfortable reading though. With a job that doesn't often call for intellectual effort grappling with a challenging read is a reminder that I'm good for more than directing people to cider and putting bottles on shelves (there is more to my job than this but it doesn't always feel that way). That's what reading does for me, what the books themselves do is a little different; when I came home today I sat in my favourite chair with a cup of tea, the view outside mostly involved rain and a car park. 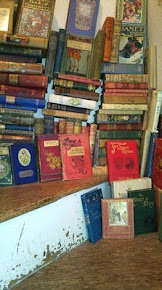 The view inside of a bookcase filled me with contentment. These books are mine, I worked for them, I chose them, they've contributed to the sum total of my knowledge, and they're what I have to show for all the days of patiently showing people where the bloody cider is. They're also a record of friendships, places, good times, and bad - in short they made it feel better. You know it's an unseasonably cool summer when you find yourself leafing through a cookbook with a blurb that reads "...Diana Henry's collection of cold-weather recipes from the chillier parts of Europe and North America..." for dinner time inspiration. Diana Henry has comprehensively slipped under my radar for years. She writes in The Telegraph which I have been known to read but apparently I wasn't paying attention. She's also got a string of cookbooks to her name which apart from 'Roast Figs Sugar Snow' I'd also never really picked up on until the latest one came out; 'Food From Plenty'. 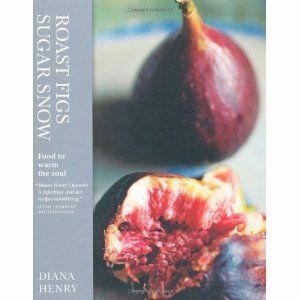 It looked intriguing enough for me to see what else Henry had written which bought me back to 'Roast Figs Sugar Snow' which I'd half thought about buying for years. I've read somewhere else about Henry not having quite the success she deserves but hopefully that's changing as her old titles have been reprinted and better yet at very reasonable prices. So here I am in July hugging a winter cookbook for warmth. I wanted it mostly for the game recipes, between the local market, my mothers new found love of shooting things (retirement sounds wonderful), and my blonde friend's willingness to do the plucking and other gory bits, I came out of winter with a freezer full of things that used to be feathered. It's a case of waste not want not (you know things are bad in my house when it's pheasant for dinner, again) but after a six month plus sojourn on ice something exciting is called for to cover the freezer burn. The game section in here is good, I used the recipe for stuffed quail with marmalade and whisky for some partridges - and very nice they were too, there's another recipe for Russian partridge with beetroot and sour cream that's just waiting to be tried, but that's just the beginning. It's refreshing to see something that looks to the North for inspiration, I have nothing against Mediterranean inspired food, heaven knows I've roasted enough tomatoes in my time - not to mention a near obsession with basil, but you can have enough even of a good thing. By North I don't just mean the currently fashionable Scandinavia either, Diana Henry has gone to all sorts of places where the snow falls to get her inspiration and material. Recipes from Northern France and Italy along with America, Canada, Ireland, Russia and more - which is the genius of this book - there's a whole world of inspiration in here for when the temperature dips and something comforting is called for which suits my inner magpie instinct very well. Without wishing the year away I am rather looking forward to when more of the ingredients come into season, the only pity here is that I want to cook like this in the middle of 'summer'. It seems I really don't pay attention to what's going on around me sometimes. I saw this in yesterdays Guardian - Julian Barnes on his life as a bibliophile, but only had time to go back and read it tonight and so finally saw mention of Independent Booksellers Week (shame on me). Barnes writes brilliantly about being a reader and book lover, I read the whole article going yes, Yes, YES - that's me! Except for the bits about collecting first editions, that sadly is not me. Independent book shops deserve celebrating and more importantly supporting. The closest one I have and use at the moment is the rather wonderful Astley Book Farm, it's all second hand books, with an excellent range including some real rarities, also and most important - the ladies who run it are knowledgeable and welcoming. The Scottish Borders by contrast are well provided for by a string of independent book shops (the list on this link is not exhaustive but gives a good indication). My favourite is probably the Mainstreet Trading Company (the cafe is really good too) but they're all excellent and I've had serendipitous discoveries in most of them - and there's still time for the others. Leakey's in Inverness, worth the journey for this place alone! 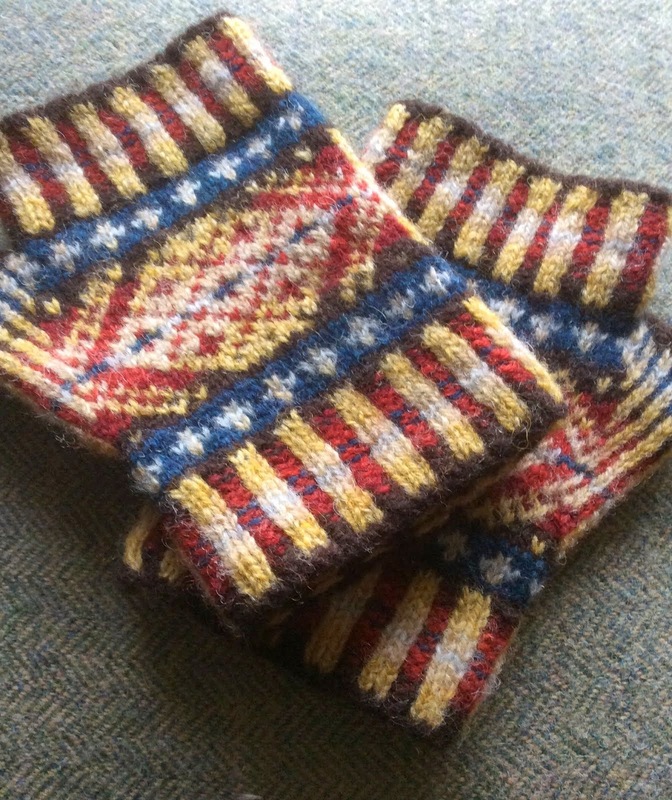 In a week I'll be in Shetland (quite excited) which is served by The Shetland Times Bookshop. This is the first bookshop I knew, it still has a place in my heart, it's small and mostly a stationers but has a decent selection of books including a range of local interest things they publish themselves. Some of the happiest moments of my childhood were spent in there, I still get a buzz of anticipation every time I go in there and am delighted that whatever else has changed this institution remains. Amazon, Waterstones, even on occasion W H Smiths are all great, but as the Mainstreet Bookshop in St Boswells demonstrates so well how an independent bookshop can be a huge boon to a community, this place is a destination - an imaginative bookshop both for adults and children, that very good cafe with wall space that works as a gallery, a small selection of antiques, other more general gifty items, a packed programme of events - it's all going on; the area would be much the poorer without them. Waterstones in Leicester does it's best, which isn't bad, but they don't come close to providing the community focus a really good independent can - something that's as important in a city as it is in rural areas. Times are tough for retailers everywhere so it's more important than ever to invest in the businesses doing it right and make sure those rare spare pounds go to a good home. Any and all independent bookshop recommendations gratefully received.